This exhibition features work by the Japanese artist Bidou Yamaguchi (b. 1970). Trained to make reproductions of historic Japanese Noh masks, the artist has, since 2003, radicalized this traditional idea and practice. Yamaguchi’s masks apply the forms, techniques, transformative spirit, and mysterious elegance of Noh masks to iconic female portraits from the European art historical canon, as well as to Kabuki actor prints by Sharaku, Japan’s enigmatic eighteenth century portrait master. Japan’s Noh theater provides an unparalleled domain for exploring emotion and representing the human countenance. 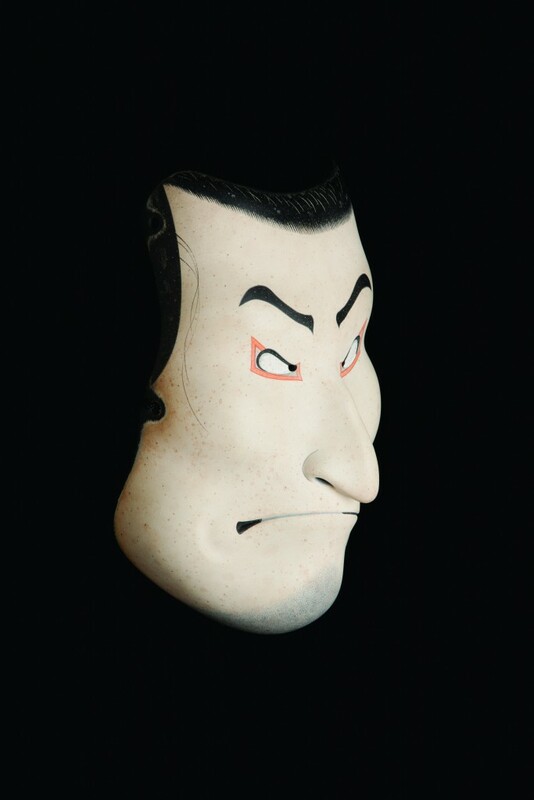 Traditions Transfigured: The Noh Masks of Bidou Yamaguchi features sculptural works from contemporary Japanese artist and master Noh mask carver Bidou Yamaguchi. 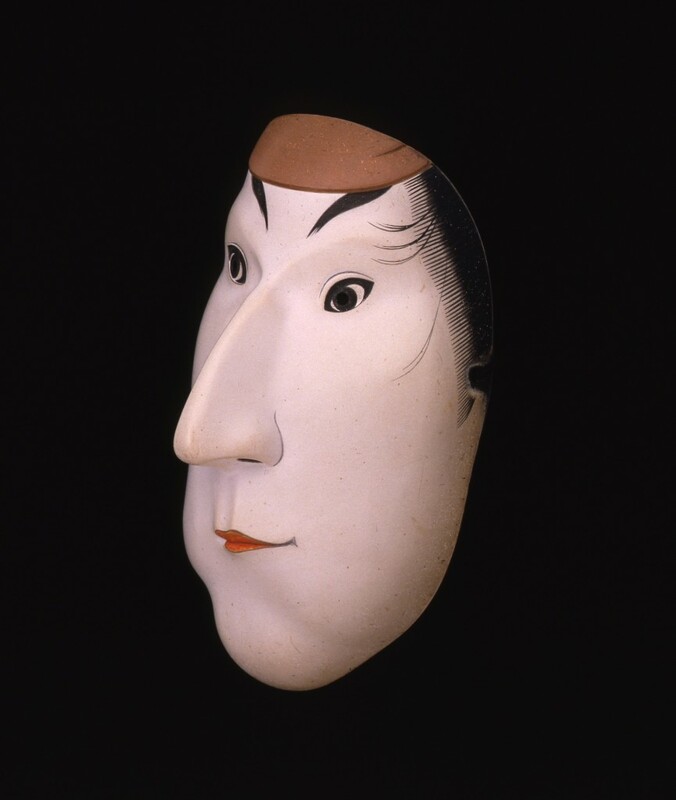 These masks apply the forms, techniques, transformative spirit, and mysterious elegance of Noh masks as well as iconic female portraits from the European art history, and to Kabuki actor prints by Sharaku, Japan’s enigmatic 18th century portrait master. By transfiguring the European and Japanese artistic traditions, Bidou’s work merges past and present. Perhaps more importantly, it allows audiences to uncover deeper dimensions of their own humanity. By imagining ourselves wearing different faces, we can forge deeper connections with others. NOMA’s presentation of Traditions Transfigured will feature Noh robes from the museum’s Asian art collection. NOMA’s Asian art collection is one of the most distinguished in the Gulf South and includes rare objects that have been collected by the museum almost since its inception over 100 years ago. The collection includes works of art that range in date from the Neolithic to the contemporary—screens and scroll paintings, miniatures, calligraphy, woodblock prints, ceramics, bronzes, jades, and the decorative arts of East Asia and the Indian sub-continent. The Noh robes to be featured in the presentation are from the mid-19th century and have been meaningful additions to NOMA’s collection since 1952. Bidou Yamaguchi also will create a new work for NOMA, reinforcing New Orleans and the museum’s connection to the exhibition and the artist. The city’s storied history is intertwined with the dramatic arts and many costuming traditions remain prevalent, especially those influenced and inspired by Mardi Gras. Mardi Gras masks in particular originated from celebrations hundreds of years ago, during a time when wearers sought to escape society and class constraints. Today, masks are still a source of creative expression for contemporary New Orleans artists and residents alike. 8.27 x 5.51 x 3.54 in. 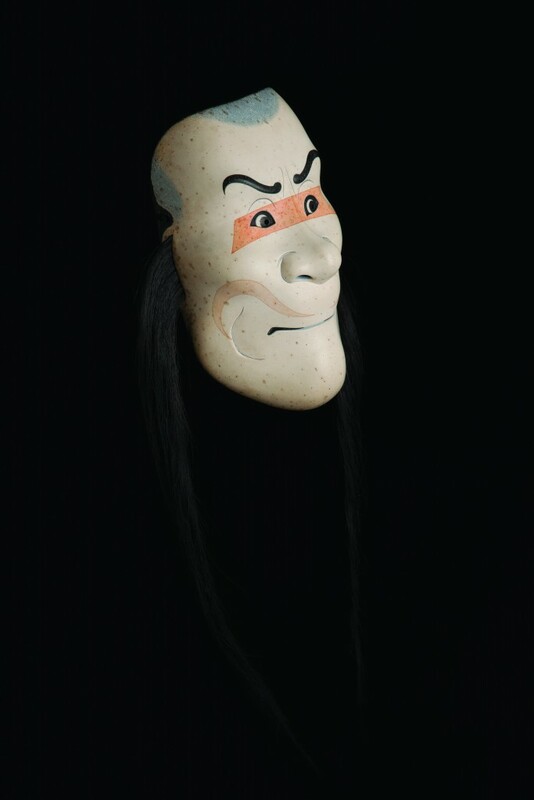 Traditions Transfigured: The Noh Masks of Bidou Yamaguchi was developed by UAM in cooperation with Dr. Kendall Brown and the CSULB Museum Studies Students. Artworks are on loan from artist Bidou Yamaguchi; the Kelly Sutherlin McLeod and Steve McLeod Collection; Scripps College, Claremont, CA; USC Pacific Asia Museum Collection, Gift of Peter Ries; Sebastian Izzard, LLC; and the Target Corporate Collection. Photography © 2013 UAM. The New Orleans presentation is sponsored in part by the Japan Foundation, New York.